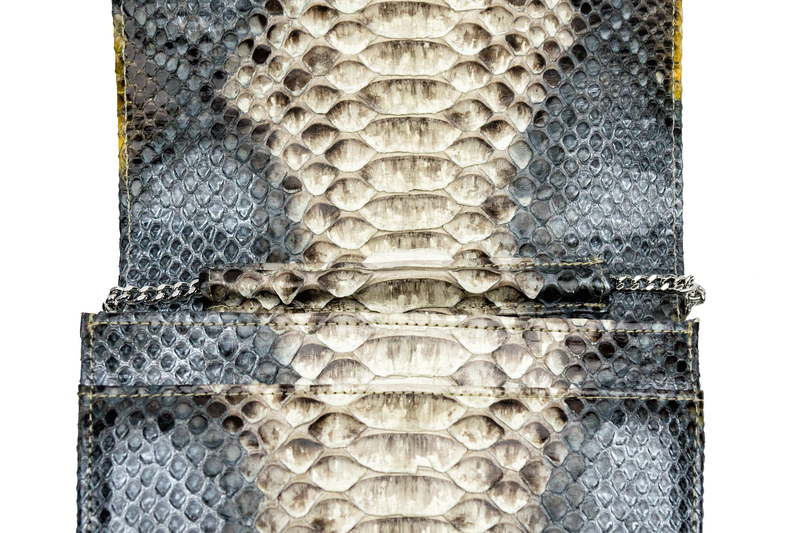 The Genuine Python Skin Handbag is beautifully crafted with the best materials available. 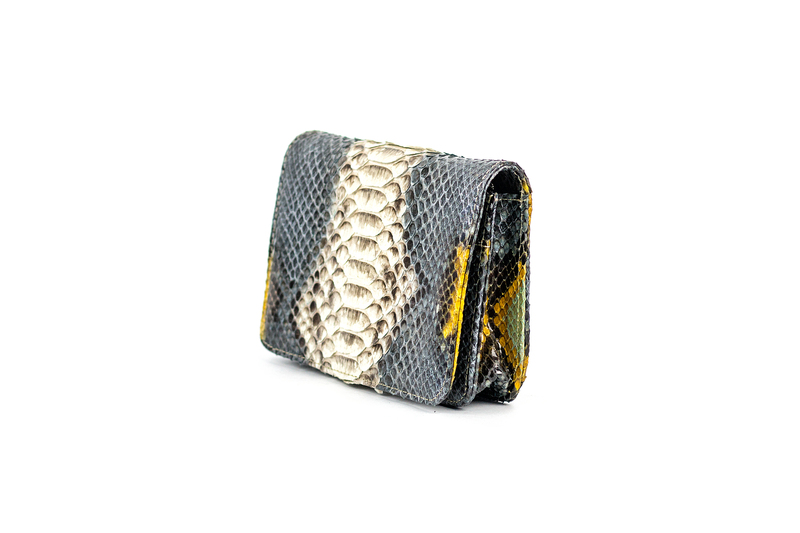 This luxurious and stylish bag features an inside back wall pocket with an Italia Inspired Gold Medal Shoulder strap. 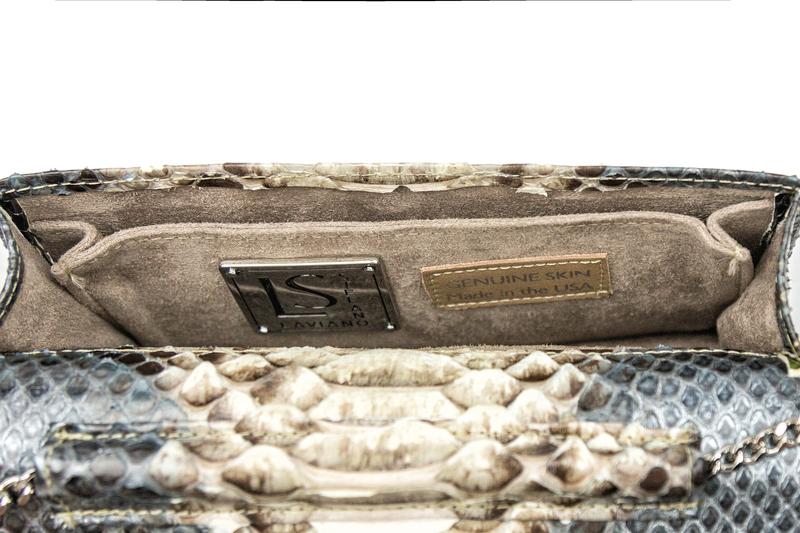 It comes fully lined in smooth suede & an outside pocket. 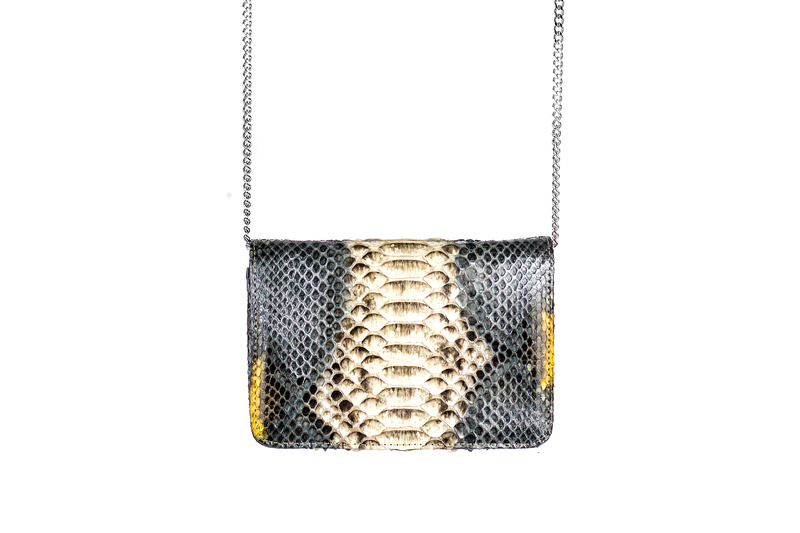 The elegant long chain lets you turn it into an evening bag, cross body bag, shoulder bag or a simple clutch.